the sketch, in the original itself, glowing with the fine colouring of rare tortoiseshell, and relieved by the varied and shimmering tones of copper, brass, and tin, it possesses a richness of effect which altogether baffles description. Another rare piece of "Boulle" will be found in the writing-table on Plate III., which is exceptionally graceful in form for the period, and most tastefully enriched in the manner described. Many more examples might be introduced, but their appearance here is not necessary, for, when the class of incrustation has once been seen, or a full description of it has been given, the work can never be mistaken. 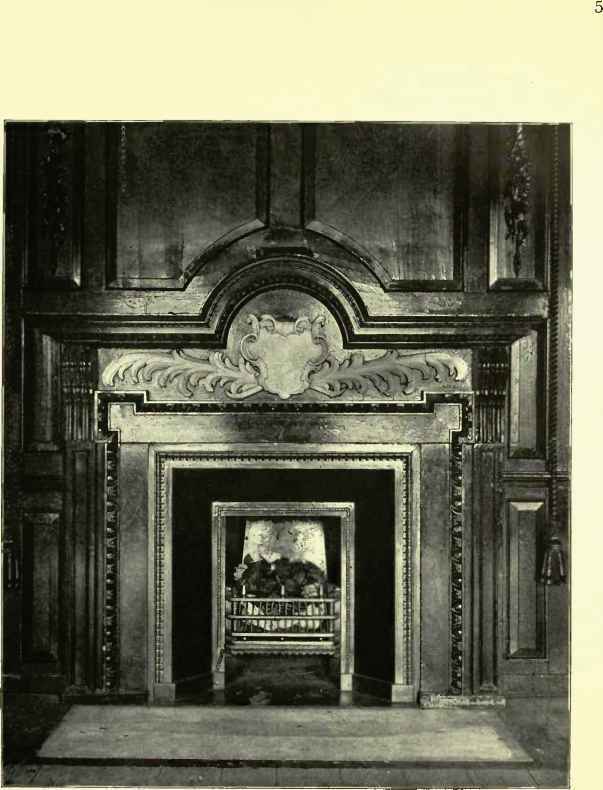 Before leaving the subject, I may, however, mention that the " carcase work " or foundation of " Boulle " is nearly always comparatively simple in form. This was essential, since the intricate enrichment with which it was destined to be covered was not amenable to being twisted into elaborate or tortuous shapes. 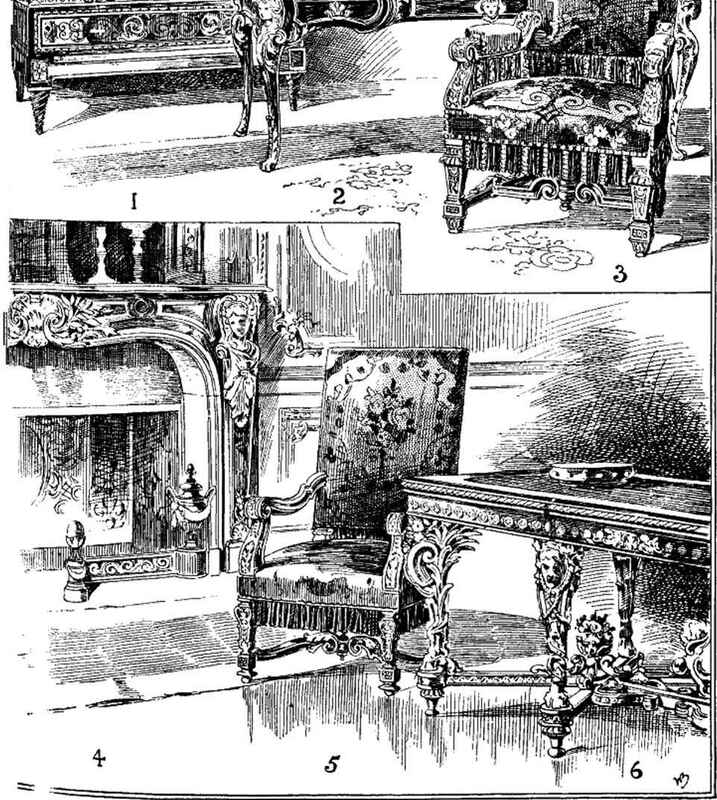 It is impossible to write, however briefly, of the French furniture of this period without paying some attention to the development of metal work other than " Boulle " as a decorative medium, since the fondeurs and ciseleurs then occupied a position almost as high as that of the ébéniste himself, and were paid munificently for the invaluable aid they afforded the wood worker. It would take long to tell of all that was done by that band of men leading up to Gouthière who made the metal work of the period what it was ; and it is not my privilege to do so here. I must, however, emphasise the fact that they are not for one moment to be confounded with the mere skilled mechanic who presides at the forge, mould, and melting pot in order to see that other men's ideas are properly carried into effect ; or with the simple engraver who puts the finishing touches on work already prepared for him. No, they were of a stamp vastly different from that.